Having lived in the UK for the past 7 years we’ve decided it’s almost time to head back to South Africa, back to family and old friends and the next chapter in our lives. To my surprise Jules didn’t need much convincing when I told her I wanted to drive home and while she spent most evenings diligently planning our wedding I neglected my duties and spent my evenings researching 4x4s, roof top tents and generally being useless in all things “wedding”. We’ll take about 8 months travelling from London to Johannesburg. After that I go back to the excitement of staring at a computer screen turning coffee into computer code and Jules goes back to running people’s lives. We’ll be documenting the trip and build-up to it on this site, so come back regularly if this sort of thing interests you. 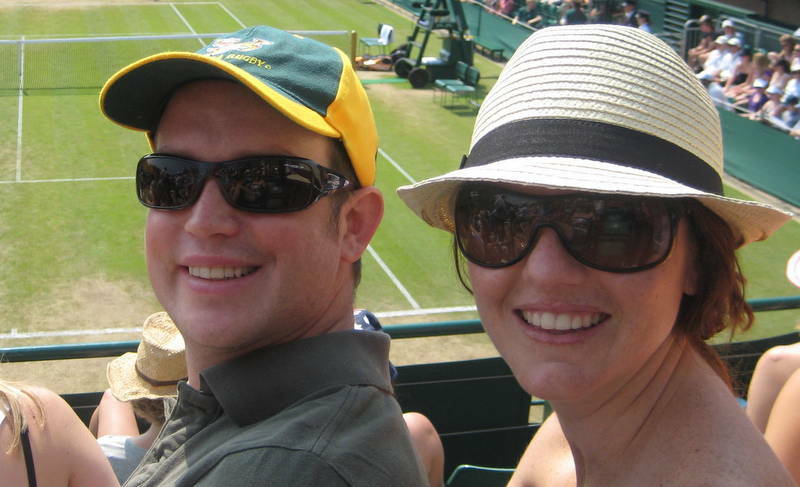 Jules and I both grew up in Johannesburg and moved to the UK together in 2005 for a 2 year stint of working and travelling. 8 years later almost to the day and it is now finally home time. Jules has worked as a Personal Assistant to various directors at Coke for the past 5 years, making some really good friends in this time. I’ve held various software development and analyst type jobs, and have also been fortunate to have worked with some great people (although there have been a few not so great ones as well – an example – “we unfortunately have to let some of you go but on the positive side our pipeline has never looked so good”). I’m not sure what initially made us think about driving home – most probably the day-dreaming that goes hand-in-hand with a particularly fulfilling day at the office where you do something remarkable that changes the very fabric of society and puts you in the running for a Nobel Peace prize. I am at an age where a battle is being waged between greyness and baldness and Jules has a biological clock. The advantage of this is that rather than being on a gap year / gap yah we can call it a sabbatical – far more civilised and although we know what we want to do with our lives hopefully we come out of this trip knowing what we want to do with the bits in-between where we have to earn a salary. We both share a love of the bush, with an annual pilgrimage to a game reserve whenever we go back to South Africa. Other interests include diving, photography, good food, good friends and cold beer. The Venn diagram of music in our relationship is a constant source of consternation – in an ideal world my soundtrack would alternate between the Red Hot Chili Peppers and Guns ‘n Roses. Anything post 2000 doesn’t qualify as music. Jules is generally happy with anything that isn’t Iron Maiden. One artist we both definitely agree on is Johnny Clegg, a South African musician, and when you’re homesick in London there’s nothing like a bit of Jaluka. Because of this Osiyeza had to be the name for our site. I just bumped into your website by chance, my name is Terri and my partner and I have just done the drive from England to South Africa and it took us 8 months but we went supper slow so we could do and see lots. We are now currently in Cape Town and have the awfully painful task of trying to import our car which byt he way is not an easy process at all. I am south african and Jonny my partner British so we thought it would save us shipping it home by importing mmmmmm. Anyway you can check out our blog if you are interested http://blogs.statravel.co.uk/cruising-africa and if you guys need advise or help feel free to email as I love chatting about travel. Thanks for the comment. We’re both on your website at the moment – your pics look incredible! Are you staying in South Africa or coming back to the UK? If you’re still in Cape Town at the end of the year we’ll have to grab a drink somewhere. Good luck with importing your car and we’ll definitely keep in touch – any importing tips let us know! We use this on our one year trip and we had no stomac problem. Hi David, thanks for your comment. The kelly kettle is for tea and Jules’ hot water bottle (somebody even gets cold in 35c heat!). We’ve got a Lifesaver jerry can for filtering water – more on this when / if we ever get our car back from the garage so I can take some photos of it. We’ll have a look at your site. We are planning to start our trip from Mossel Bay to Morocco beginning April. Sure we’ll meet somewhere in Eastern Africa. Enjoy and have a safe journey:-) We will follow your blog and sent you ours when its up and running. Good luck with the planning and your trip. Keep in touch – it would be nice to meet up if possible. Hopefully we’ll have some good stories to share that don’t involve botflies, breakdowns or bandits. Just stumbled across your blog and thought I’d say hello! We are a few months ahead of you, on our way to SA down the west coast. I’m sorry to hear about your car troubles – never fun when this happens. We had some issues as well – drop me a line via email and I might be able to point you in the right direction. We should be in SA (Johannesburg) when you arrive so please keep in touch so we can share stories over a drink or two. All the best with the rest of your planning, and please drop us a line if you have any questions (or comments). Thanks for the message. I think car troubles are pretty much a part of every trip – we just didn’t think they would start this soon! We’ll definitely get in touch with any questions and a beer in Johannesburg sounds great. Awesome site guys, so excited for you. Its going to be such an awesome adventure. Will definitely be checking this site out on a regular basis. Would be good to see you next week if you’re around. I arrive on Tuesday. 4 days of work left for 2013 – how many do you have left? Just came across your site and it’s great: the site and your adventure. Getting out of town is always the hardest part! It’s all part of the journey. I’m looking forward to reading about your travel. Thanks for sharing the experience. Take care. It’s not really me who needs luck with that – it’s my socks and shoes. Good luck Guys! It will be such a big adventure to live. Share your experiences I will be following you! Have a safe trip! So happy/envious of you two. Am already addicted to your updates and you haven’t even left yet. Travel safe. I know you’re just going to have such a ridiculously good time! Thanks for the message. We’ll bring the flatties when we get to Cape Town. You guys can provide the rest. Hey guys, I got your details off of Julian (Overland Cruisers) who has also been working on our car. We (Christa and I) are also two returning South Africans doing pretty much the same route leaving on the 28th of April. We’re planning on taking 6 months so with a fair wind we may just be able to meet up for a beer somewhere along the way. We’re very interested to see how you guys get on with the ferry across into Egypt – we’ve heard a lot of stories that Egypt may not be accepting 4x4s with/ without carnets, so keen to hear how things actually are on the ground. Have fun out there. Great site by the way. Great to hear from you! We’re currently following this blog http://familyinafrica.wordpress.com – family friends’ friends, who had some trouble initially, but are currently in Egypt. Good luck with the prep, and see you on the road somewhere. Thanks for the comment. It was great meeting you too. Good luck trying to adjust to the real world after your adventure! You guys inspire me with your adventure spirit, looking forward to many a braai and beer when you guys arrive back in RSA. Great to hear from you! Thanks for the message. Glad you also look forward to the important things in life! Could you please let us know what the costs were for the ferry and barge at Wadi Halfa. We are heading north now from Malawi and want to be more sure of the costs. We paid our fixer 2,500 Egyptian Pounds for the car barge and around 350 each for the ferry tickets, plus fixer fee of $50 for egyptian fixer and a smaller amount for the Sudanese guy. I have no idea if it would be the same going North. I was put onto your site by Brendon Lambert. Our website specialises in all outdoor tech and we have a well followed blog built into our site for all things outdoor. We’ve been looking for a C2C trip to share on our blog for our readers to follow. We like the way you write and would like to know if you are keen to allow us the permission to repost your blog posts onto our site (with all credits and links to you and your own blog of course). It wouldn’t require anything extra from you but would give more exposure to your posts, sites, and charities. Thanks for getting in touch. You can repost with pleasure. It would be great to meet up. We’re in Kenya for the next 2 weeks, then Uganda for a bit – depending on how quickly you drive I guess we might meet each other in Tanzania or Malawi. When we have a real connection we’ll have a look at your website. Hi guys, we (ruje tour) are on our way up the east coast and currently in Moz waiting to go to the islands so we can move on to Malawi, if you need any info on Moz or Malawi we would be happy to help. Enjoy your trip and travel safe. Thanks for the comment. Same goes for you if you want any info about stuff up north. Have a safe trip and maybe we’ll meet on the road somewhere.